This course is for serious road professionals who need to upgrade or re-familiarise with modern day driving practises. 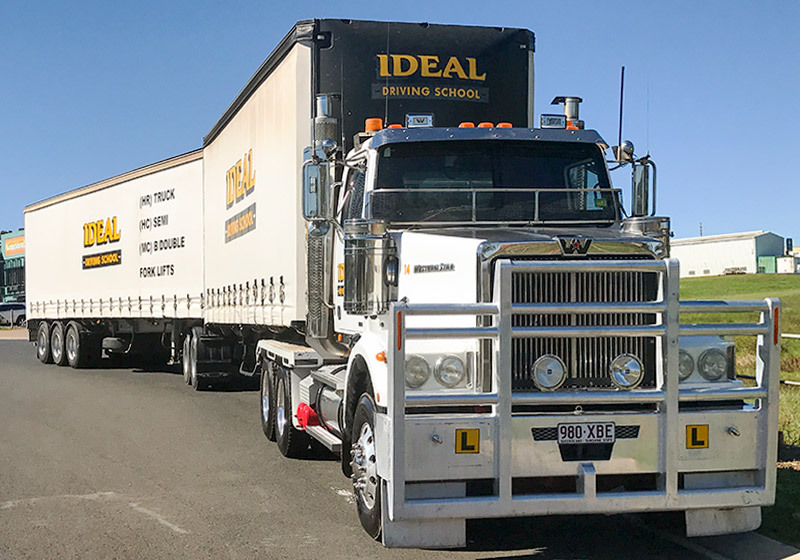 The Ideal Driving School Multi-Combination licence training vehicles are hand picked by Shane Mengel to represent the driving opportunities and employment requirements of the Transport Industry. 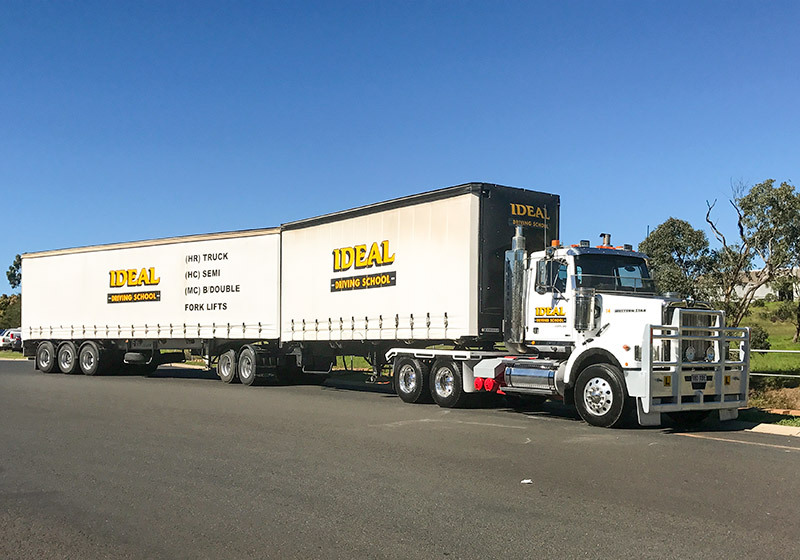 The multi-combination units are trucks and trailers that have been purchased from some of Australia's premier transport companies. Combine this with our multi-combination trainers who are industry experienced and industry respected they have “been there - done that”. This gives you the best learning experience possible. Call Ideal now to see which course best suits your needs. B Double or Road Train: Ideal Driving School provides in-house training, assessment and licensing. No Queensland Transport testing required. Specialised training from industry experts, trainers with years of professional operator experience and knowledge as well as relevant qualifications. Queensland Transport requires that the student has held a Heavy Rigid or Heavy Combination licence for a period of one year (1 year). Ideal Driving School, in partnership with Mengel Training Services RTO (registered training organisation) No. 31800 certified to deliver TLIC4006 Drive multi-combination vehicle, conduct Multi-Combination training sessions (1-2 days), designed to give you the very best driving experience and exposure possible. Ideal can deliver specific training courses to suit operators or employers designed around the types of working conditions you will experience. Real trainers - Industry experienced and respected. Real vehicles - trucks and trailers purchased from leading Australian Transport Companies. Full length multi-combination vehicles 26 metres NOT 19 metres. Loaded multi-combination vehicles NOT empty. Highways NOT freeways - Driving real terrain. The Driver Training vehicles have the Industry standard required features.